Storms continue to hit Italy, damaging buildings, razing trees and blocking access to towns and roads. Reports say there at least 30 dead from the storms. 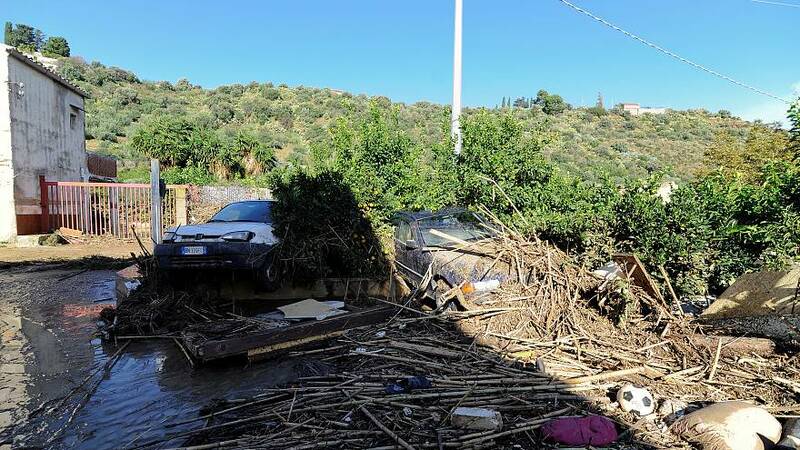 Sicily, a region hit hard by the natural catastrophe, saw at least 12 people killed this weekend. Italian Prime Minister Giuseppe Conte called it "an immense tragedy" during a visit to the affected areas on the island. He added that a cabinet meeting would be called this week to declare a state of emergency and discuss an aid package for the affected areas. New Caledonia voted against independence from France on Sunday in a long-awaited referendum that capped a 30-year long decolonisation process for the South Pacific archipelago. A "yes" vote would have deprived Paris of a stake in the Indo-Pacific region where China is developing its significant influence and dented the pride of a former colonial power whose reach once spanned the Caribbean, sub-Saharan Africa, and the Pacific Ocean. Macron said he understood the disappointment of those who wanted independence but added that the French state would ensure liberty, equality, and fraternity for everyone. "The only loser is the temptation of contempt, division, violence, and fear; the only winner is the process of peace and the spirit of dialogue," Macron said. US politicians enter the final day of campaigning ahead of the mid-term elections on Tuesday. Polls predict gains for the Democrats in what is widely being viewed as a test of Donald Trump’s presidency. These midterms have been followed by an unprecedented number of Americans living outside the US, according to data from the non-partisan US Vote Foundation, reported NBC. An exit poll suggested Poland's populist ruling party lost mayoral elections Sunday in key cities including Krakow and Gdansk. The Law and Justice Party's governance style was vastly rejected by voters in the country's largest cities, however, the ruling party solidified its support in rural areas.